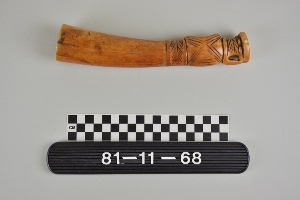 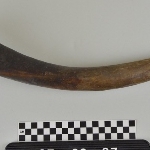 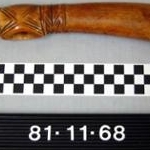 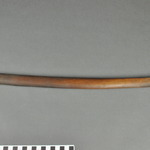 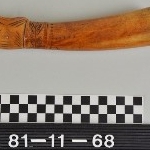 Short ivory horn with fine carving. 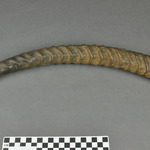 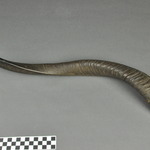 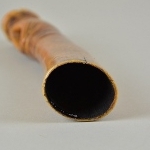 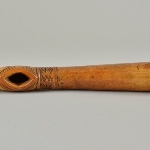 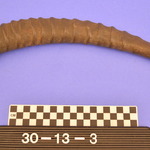 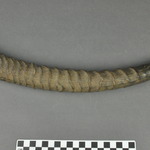 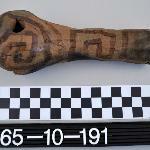 The mouthpiece is surrounded by two bands of geometric incising the end of the horn is carved flat and has a small loop carved into the body of the horn. 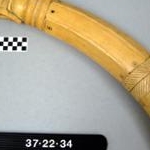 A hole has been bored through the end so thats both ends of the horn are open.